All of our In The Truck Bed toolboxes can be used as a standalone organization and security solution, or they can be combined to create a complete tool storage system. 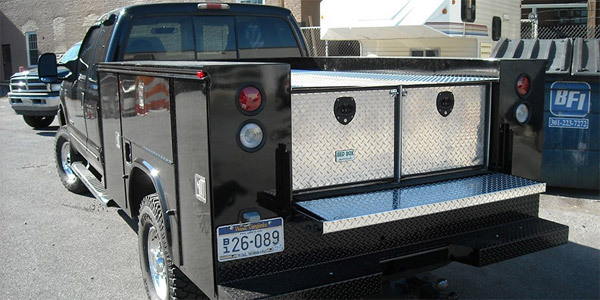 We understand that you require a toolbox that can grow and adapt along with your constantly evolving business – that’s why every product in our truck bed series is versatile and easily expandable. Available in 2 & 3 Drawer Models! Our most popular introductory tool box, easily adaptable for future applications. Supports up 500 Pounds Per Drawer! 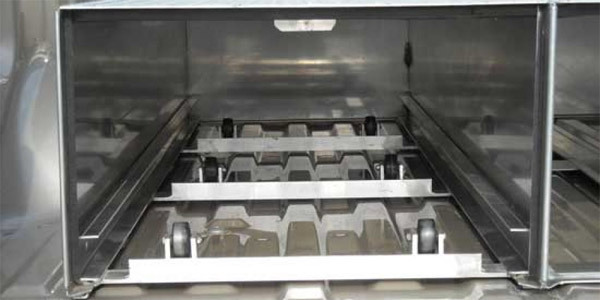 Our “T” handle latch system compresses the drawer, ensuring a snug fit. Designed For Compact & Mid-Sized Pickups! Get the most out of your bed space by utilizing the full length & width of your truck. Less Space Yet Still Crafted To Our High Standards! At only 24 inches, these narrow boxes are ideal when you have limited bed space. What is different about the Heavy Duty Series? This picture shows the rollers mounted to the under carriage of an HD. Every toolbox in our Heavy Duty Series is designed to carry extremely heavy loads, able to hold up to 500 pounds in each drawer! 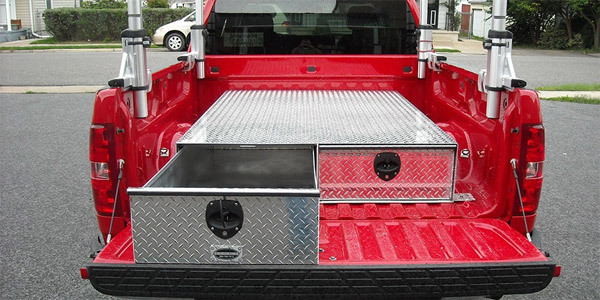 The deck is elevated 4” above a standard truck’s wheel well. What glide system do I get on the Bed Box Series, Compact Bed Series & N Series?? This is a view of the Teflon strips inside of a CB Series tool box. Drawers from each toolbox in these series slide on Teflon strips running the complete length, able to easily carry hundreds of pounds of weight. These decks are intended to fit snuggly over each wheel well. What if I need to support heavier than 500 pounds? 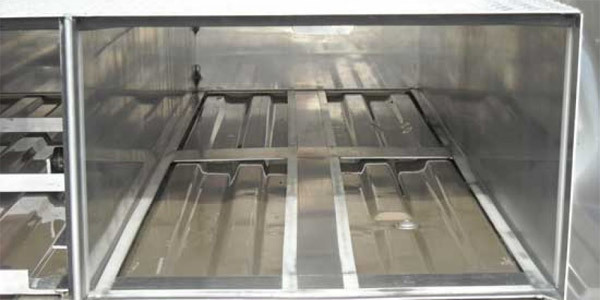 All of our toolbox decks are able to carry a 1000-pound load on a 4′ square skid. 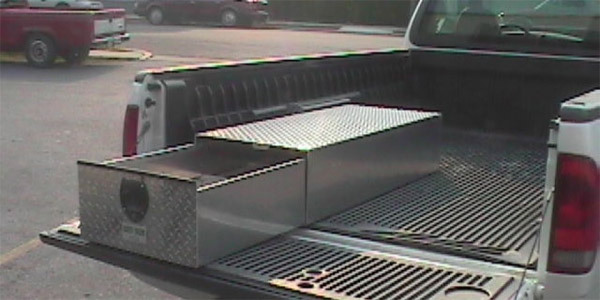 Our longer toolbox, including our 96” model, is large enough to carry two skids— that’s up to 2000 pounds! 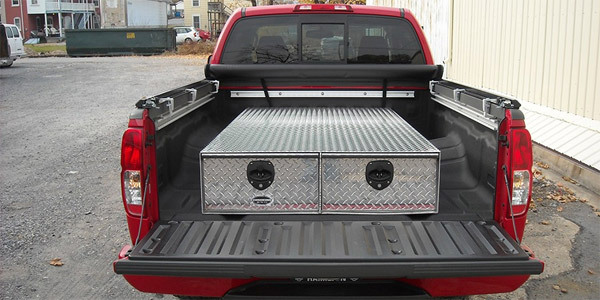 Learn more about the last toolbox your truck will ever need! Request your Free Personal Quote today! And remember, when purchasing your truck bed toolbox from Truck-Tool-Box, you will have the confidence of knowing you’re covered by our exclusive 10 Year Warranty!